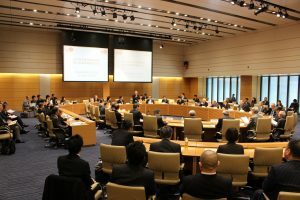 On February 22nd, the WSCJ, for which the JWF serves as secretariat, held the 15th meeting of the Committee for Basic Policy at the First Members’ Office Building of the House of Representatives. 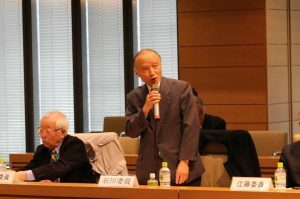 This committee is composed of members of the governing council of WSCJ. Its purpose is to consider watershed management from a 21st century perspective. 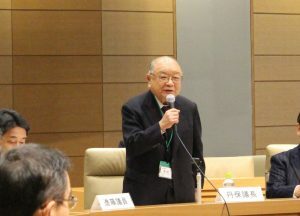 For the first time since committee’s foundation in 2009, the meeting was held at the First Members’ Office Buildings of the House of Representatives. 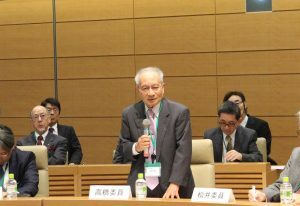 All stakeholders in Team Water Japan, which is composed of industry, government, academics and citizens, attended the meeting, including a record high eight Diet members. 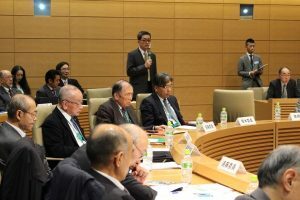 At the 14th meeting of the Committee for Basic Policy held in May, 2016, participants had reconfirmed that they would strive to realize the solutions presented in the recommendation Towards a Low-carbon, Sustainable Water and Material-Circulating Society, published in October, 2012. 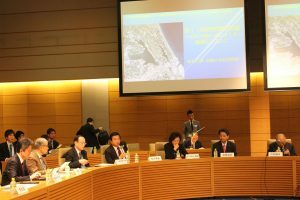 At the 15th meeting, there was a discussion on how to realize solutions according to the policy approved at the 14th meeting. Also discussed was how to bring about inter-agency approaches to the solutions, such as proper groundwater management and the framework for water and material circulation for achieving a sound water cycle, and the creation of new economic value by utilizing existing infrastructure, such as dams and water and sewerage systems. 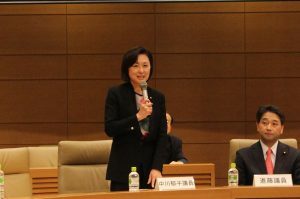 At the next meeting (to be scheduled), based on the results of the 15th meeting, we are planning to discuss focused issues for achieving a sound water cycle based on the Basic Law on the Water Cycle and Water Cycle Policy as well as measures for promoting effective use and efficient maintenance of large-scale infrastructure. 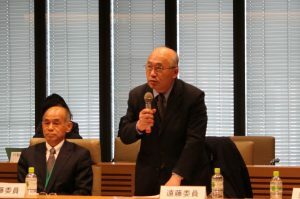 The JWF will be involved in various activities as secretariat of the Water Security Council of Japan, and will make policy recommendations for realizing measures for the solution of water problems at home and abroad. ※All PDF Data are Japanese only.